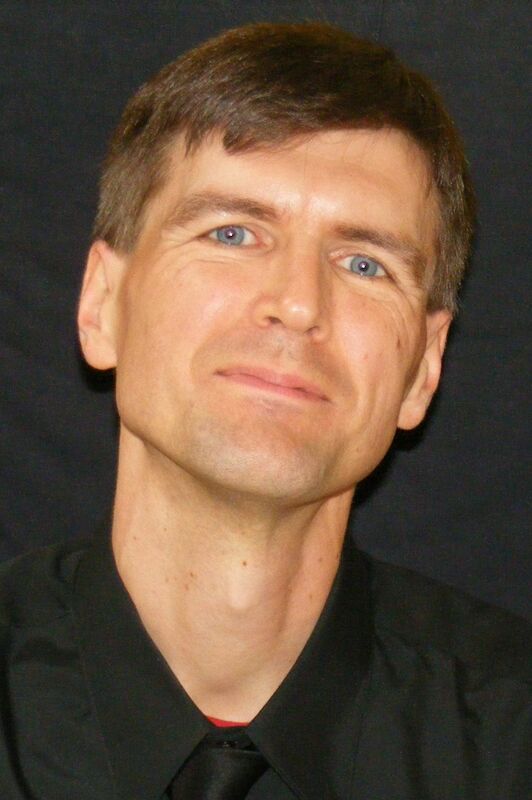 Andrew Kreider and I met at Associated Mennonite Biblical Seminary (Elkhart, Ind.) in the mid-1990s. He was the student book store manager and, according to Andrew, I walked into the bookstore and we started talking of our mutual enthusiasm for Canadian singer, Bruce Cockburn. We’ve been buddies ever since. He kindly agreed to be interviewed for my blog, reflecting on poetry, humor, and the call to the creative life. He recently published the chapbook, answers like socks that includes a cd of Andrew reading the poems. I am offering a free copy to one lucky commenter (see below). When did you write your first poem? Can you share it with us? Really, it was only in my thirties that I was finally able to say out loud, “I am a poet,” and to begin to attend to the words rattling around in my chest. I realized that I see the world with a poet’s eye – image, allusion, rhythm and color – all these are more important to me than straight lines or correct information. Poetry is a wonderfully flexible medium for right-brained people! Do you have a process or ritual when you write a poem? And, is your process different for songwriting? I love to write within a structure. To have some form of limitation on my choice and volume of words. For this reason, I often choose to follow a particular poetic form (sonnet, kyrielle, limerick, or whatever), or at the least to write lines of a set number of syllables. Having to limit my words makes me much more careful about the words I choose, what I’m trying to say, and how I say it. This is a lesson I learned back when I was a preacher – that often in a sermon, less is more. Same with many forms of communication, including poetry. I also have become a student of other writers, and try to copy their approaches. There is so much to be learned from others! This is true as a poet, and also as a songwriter. One exercise I do regularly is to take a famous song, analyze its structure, and then write a new song following the same pattern. It’s amazing to me how you can take the same structure and come up with something entirely different from the original, in sound, feel, mood. For example, I’m not sure how Bill Withers would feel about it, but I have a modern-day classic just waiting to be discovered titled: “Doctor Love” which is based firmly on “Ain’t No Sunshine When She’s Gone.” Fans of the band I play in, the Minor Profits have endured this song many times by now. Many of your poems have humor—or bemusement—on them. Is this intentional or just a reflection of your worldview? I believe in the power of small things. I love to take tiny moments, or single elements, and then set them free to see where they want to go. This is especially true in my longer pieces. I am developing a whole show of monologues – funny pieces based on things that have happened to me. For whatever reason, I seem to run into a lot of crazy situations, and they make a great jumping-off point for monologues that are (mostly) true. There’s a genre of writing called “faction” (fact/fiction) – and I think that’s where I thrive, enriching true events for the purpose of entertainment! You must know, though, that any stories I tell about my childhood are completely accurate – especially the one about practicing driving with my mother. 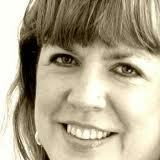 You transitioned from full-time pastoring to pursue family time and creative pursuits. Can you tell us about this decision and how you discerned these “calls”? Three years ago, my wife began medical school. This was a huge shift in our family life – and there was no way I could carry on being a pastor without chaos ensuing at home. It was a good time for me to move on, both for me and for the congregation – a wonderful group of people who have gone upwards and onwards with excellent new leadership. Leaving the pastorate has allowed me to say, and do, things I never could have gotten away with as a minister. As a preacher, I loved to dig into stories and let people find themselves in the details – I think this has carried over into my writing, but now I have even more latitude because the answer doesn’t always have to be “Jesus” (although that’s a fairly good answer in many cases, just not in stories about getting stuck in an elevator, or then again… but I digress). Poetry allows the writer and reader to walk into the mist without insisting on a particular destination. And I love that. Have you been able to find more time for creativity? These days, I consider myself a quarter-time writer and performer. I try to write every day, and perform regularly as a musician and a poet. I am also relishing new connections in local community theater, onstage and behind the scenes. Some spiritual guides counsel us to find a “rule of life” – for me, creative work has become that life-giving rule: writing, blogging, rehearsing, performing. Do you have any wisdom and insights to offer others who want to seriously write poetry? Read lots. And write. Write every day. Make connections with other poets online or in person. There are many wonderful communities of poets on the internet, and almost without exception people are very encouraging of each other in those places. As time goes by, learn about poetic forms and practice writing in them. Try lots of different angles. And all the time, keep one ear tuned for your own voice. Learn to recognize the moments when you have something special to say – the poems that no one else will or can write. Turns out, my voice is often kind of crazy –it laughs a lot and loves to make people look at things in new ways. Robert C. Dykstra wrote a book titled Discovering a Sermon. There was one passage in that book that made a huge impact on me. Basically, his point was that if you are listening to someone and you are becoming bored, this is an indication that the person speaking is not fully comfortable in themselves. They are trying to be something they are not, trying to look right, trying to impress, but it’s not working for either of you. This is a challenge to me with every performance and every piece I write – to be at peace with myself, to be authentic, and NOT to be boring! To receive a free copy of Andrew’s recent chapbook, answers like socks, (including a cd of Andrew reading the poems!) please leave a comment. I will randomly choose a winner Friday, April 27, 5:00 p.m. (eastern time). About five years ago I found Christine’s blog, Abbey of the Arts, and have been faithfully following her since–through her blog, her books, and her online courses–all exploring the interaction of creativity and faith. This past June I had the delightful opportunity to attend Christine’s week-long retreat, “Awakening the Creative Spirit” (also the title of her book, co-written with Betsey Beckman). 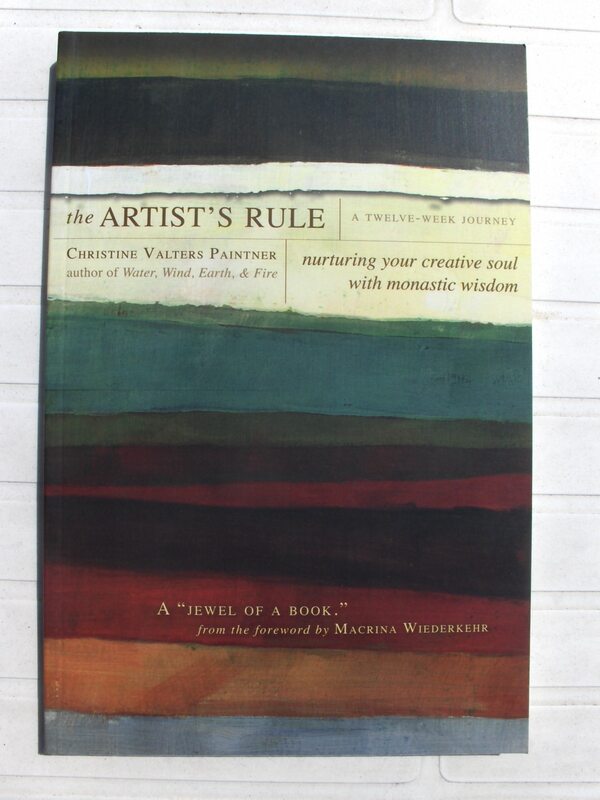 Christine latest book is The Artist’s Rule: Nurturing Your Creative Soul with Monastic Wisdom and she kindly agreed to an interview. Also, I have a copy of “The Artist’s Rule” to give away (FREE) to a commentor. Leave a comment, your email, and you will be in the running for a free copy! Drawing will be Friday, Aug. 5, in the evening. The title of your book is “The Artist’s Rule: Nurturing Your Creative Soul with Monastic Wisdom.” Intriguing title—but what do monks have to do with artists? Monasteries have been great centers of creativity since they were first formed – think of the beauty of Gregorian chant, the great illuminated manuscripts which bring text to life through a marriage with image, the architecture of cloisters creating sacred space as a container for prayer. When I fell in love with monasticism it was the aesthetic dimension which first captured my heart and I wanted to explore how their this path fosters this creative upwelling. My book explores the way monastic spirituality can help creativity flourish in anyone. How has the Benedictine “Rule of Life” influenced you? And, what is an oblate? An oblate is a lay person who makes a promise to a particular monastery to live out Benedictine spirituality in their everyday lives. I am an oblate with St. Placid Priory, a women’s community about an hour from where I live. I gather with my fellow oblates monthly for support in living contemplatively in the world with jobs and spouses and all of the demands daily life makes upon us. We are men and women, Catholic, Methodist, Episcopalian, Lutheran, and more, and we work in fields like medicine, accounting, computer science, and spirituality. I love the diversity of my fellow oblates. The Rule of Benedict is a document written 1500 years ago to help offer guidelines for people living the monastic way together. There are many forms of monasticism. Benedict’s Rule is one of the best known because of its balanced nature. It’s not one of those books that you just read through, you sit with each entry and chew on it and ponder how you can bring it into your life and live the gospel more deeply and this is done in community. Benedict describes it as a “little rule for beginners,” and it is a call to remember that we are always beginning again in the spiritual life. Where, or how, did you get the idea to integrate the arts and faith? When I was growing up my parents weren’t religious people, but they did have a great love of art. My father worked for the United Nations so we traveled a lot and spent many hours in museums and cathedrals. Because I didn’t have a formal faith structure at the time I found my sense of the great Mystery in these expressions and longing for beauty. I was always encouraged to explore my own artistic side, especially through writing. In my early twenties I was working as a campus minister for a Catholic high school and I began developing retreats for the students and faculty. I was blessed to have a co-minister who also loved the arts and so we brought art into all aspects of our work. That was the beginning of my own exploration of integrating art and spirituality more explicitly. What are the “expressive arts”? Is it like art therapy? The “expressive arts” is a field which arises from the psychotherapeutic world and approaches the arts as a path of discovery, healing, and transformation. The emphasis is on the creative process over the product. I first discovered it while in graduate school and finally felt like someone was speaking the language I had been for years, making connections between art and the inner journey. I began taking classes and eventually began teaching about how the expressive arts can be engaged in contexts like spiritual direction and retreat to nurture and support transformation through writing, visual expression, dance, and music. My primary art forms are writing and photography. I wanted to be a writer from a very young age, my parents loved books and I was always surrounded by them. I feel extraordinarily grateful to be able to follow this path as an adult. My grandparents owned a chain of photo supply stores when I was a child so I always had a camera in hand. It wasn’t until my embrace of the monastic path that I discovered photography as a very contemplative practice, one which can help us cultivate a deeper way of seeing. So, do you pray before you write? Or, go on a photography walk? Do you pray throughout the activity? Yes, both actually are forms of prayer for me. My practice is to begin with a blessing for the time ahead, that my heart might be open for the way the Spirit moves through me. As I write or walk with my camera I try to stay fully present to the experience. The heart of monastic spirituality for me is the way it cultivates a beautiful presence to each moment as sacred, so really all of life is a prayer. God is there with each breath, we just need ways to pay attention. Writing and photography are two of those ways for me. Are you surprised at how people are responding to what you offer? When I offered my first Way of the Monk, Path of the Artist class I was really blown away by the hunger for the material. The class filled immediately as did subsequent offerings. I had been writing a blog on contemplative practice and creative expression for several years so knew there was interest, but I discovered this amazing community of monks and artists in the world who longed for support and companionship along the way. You provide a plethora of online classes! What are the upcoming classes? This fall I have another offering of Way of the Monk, Path of the Artist which is a 12-week journey accompanied by my new book, a discussion forum to build community, active input and support from me along the way, and guided meditation podcasts. It is limited to 15 participants to nurture intimacy and sharing. I also have my class Eyes of the Heart: Photography as a Contemplative Practice available on-demand for self-study which can be taken at any time. Abbey of the Arts is also offering a new series of classes beginning this fall with a focus on supporting what I call soul care practitioners and includes spiritual directors, chaplains, pastors, and counselors through a focus on the arts, contemplative practice, and deep self-care. I am excited about this new adventure.